What makes ATMOS most unique is the atmospheric valve that eliminates the need for a drip control tap along with the need to watch and adjust the tap. It’s just coffee, water, stainless steel and basic physics. 229 Tiny holes in the bottom of the basket act as the filter, allowing espresso grind coffee to be perfectly extracted directly into the bottle. No filter and no funnel means nothing to remove or replace. Level coffee grinds to the top of the basket and tamp as you lock the part in. One motion: Foolproof and perfect every time. Screw Atmos on to the full bottle. Flip and lock Atmos on to the empty bottle.Flip again and leave the water in the top bottle to filter through the Atmos unit. The total time for water to turn into delicious coffee depends on the grind and water volume. Our suggestion is to run atmos overnight for coffee to be ready and at its freshest in the morning. Atmos comes with 3 elegant borosilicate glass bottles to make sure the next batch is ready before you run out. You can also experiment with different grinds in 2 bottles. The strength of your coffee will depend on the grind and water level. To make your ATMOS ritual indulgent and long lasting, we use the highest quality materials and manufacturing processes throughout. Each ATMOS is cast from high grade 316 Stainless steel using the lost wax method, then CNC machined and laser welded together. 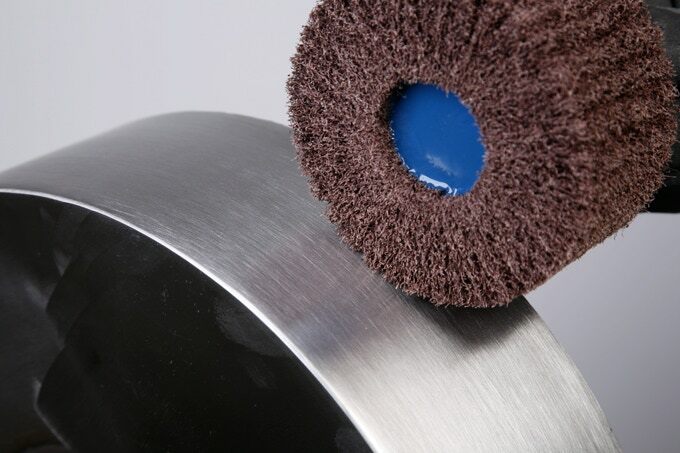 Finally the ATMOS is hand polished and brushed, creating a seamless, stunning finish. No tap, no fuss, no worries. What makes ATMOS most unique is the atmospheric valve that eliminates the need for a drip control tap along with the need to watch and adjust the tap. You get your coffee perfect every time. Atmos Coffee can be concentrated to a level as strong as that of an espresso shot unlike most other cold brewed coffees. 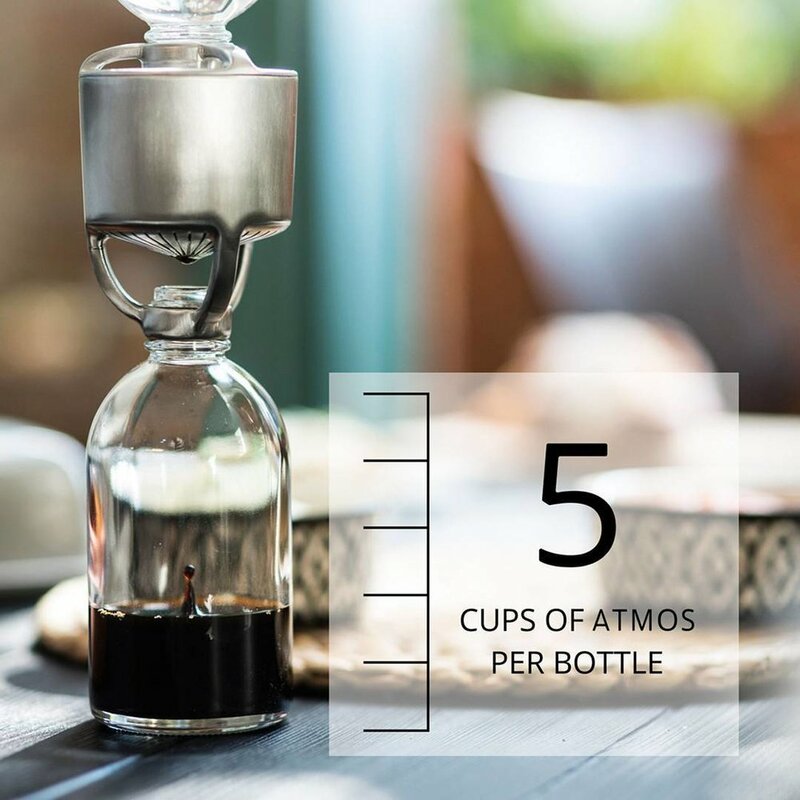 This unique feature of Atmos Coffee means that the coffee contained inside the bottle will go a long way, making about 0.5-1L of traditional cold drip! Keep up with ATMOS. Follow us on social media.